Today, I’m taking a self-imposed break. 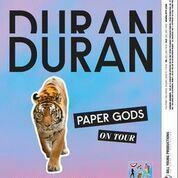 I saw that DDHQ had asked fans for their favorite tour book, and remembered how much I loved the one for Paper Gods. As you can see below, it is far more than just your average picture book commemorating a tour! Have a wonderful Monday and I’ll be back tomorrow! I needed a diversion from reality last night. So, I cracked opened the Paper Gods book that my ever-fearless partner-in-crime-and-everything-Duran-Duran sent me for Christmas! When I opened this particular present, I was delighted because I’d heard it was well-worth the £20, and I hadn’t ordered it myself because I just wasn’t sure I needed it. I own a few of their tour books from the past, and while they’ve always been a sort of “Oh, that’s really nice to have”, I wasn’t positive about this one. All I could think of was that it was 120-pages of photos, and did I really need a book of photos in my collection? I wasn’t sure. I wanted to see more of it in person before making a decision and I didn’t know when or how that might happen. Sometimes, a book like this needs a little previewing, you know? 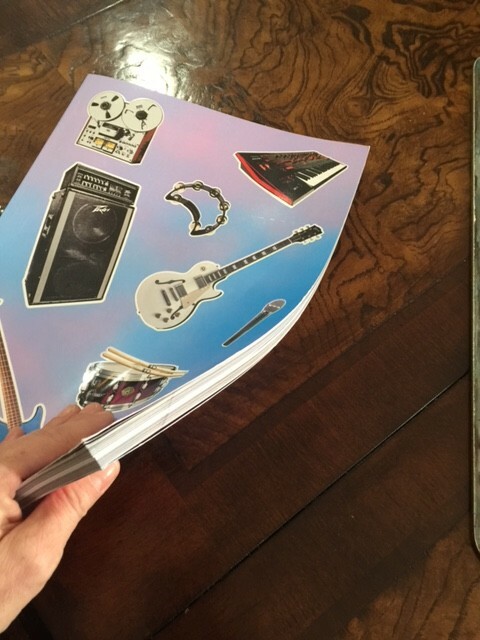 (It’s too bad DDHQ doesn’t know a fan website that could do that kind of thing for them every once in a while…..) So when I opened the gift and marveled at how big the book really is…and then began thumbing through it, I realized just how much I needed a book like this in my collection! And…it’s not really so much of a tour book, although there are certainly a plethora of pictures in there (even some of Dom, Anna, Jessie & Simon W!). I would describe this book as being sort of the Encyclopedia-of-Anything-You-Wanted-to-Know-About-Paper-Gods-But-Figured-You’d-Never-Be-Able-to-Ask. First off, the book is big. It’s not your basic 30-page tour book that’s mostly pictures (although yes, there are plenty and I mean that). At 120 large format pages (13.25″H x 9.5″W), it’s a bit of a monster…and I mean that in a fantastic way! There’s actual writing in this one, and not just a welcome note from the band or anything like that. There are interviews, thoughts, feelings…lists of words or phrases I can’t quite figure out yet (but trust me I am enjoying the process of trying! ), and I’m not even halfway through it yet! 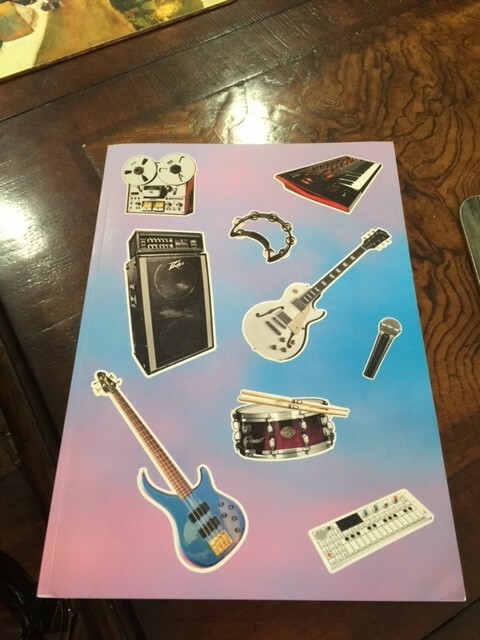 Each of the band members gives a full-length interview about the book (and believe me, these are not short answers to questions), and they also interviewed Nile, Ben Hudson and Josh Blair. They even talked creative with Nick and Alex Israel, the artist who did the front cover of the album!! I AM IN HEAVEN AND I’M NOT COMING BACK!! I love that they took the process of recording this album and thought to have a book made for people like me. People who basically dreamt of being a fly on the wall during the entire painstaking process: everything from those first jamming sessions at Dom’s studio down to seeing their reactions to the art for the cover. The book is really something very special, indeed. If the interviews and writing doesn’t grab you, the photos certainly will. This book is art…and if you needed to have large format photos of each of the band members, here they are for you to gander at will. I really love how each of the band members has a black and white full-page headshot, along with what I can only describe is a sort of silver “giclée” shadowing overlay printed on a heavier, plastic-like sheet. Way cool. 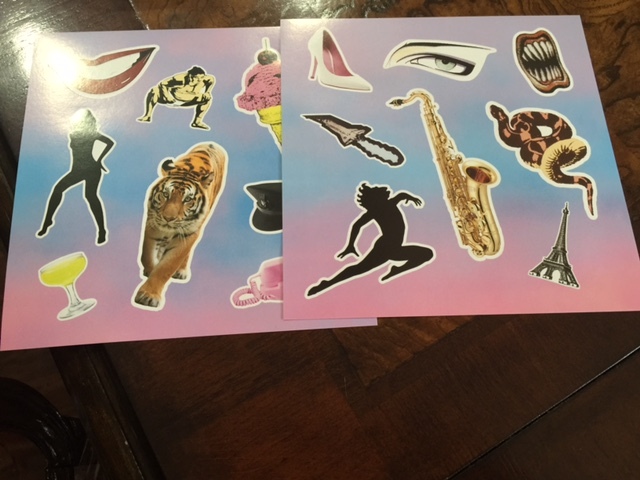 And if you like stickers – they’re included too! As I said, I haven’t even read through it all yet. I had to stop myself at 11:15 last night because I needed to get some sleep, and even after I put it down I kept thinking about what I’d read. In many ways that Amanda and I will get into later as we dissect this book from cover to cover on the blog (oh yes – it’s happening), I think the book makes me see the album with a completely different set of eyes, and I’m curious if my ears will pick up anything different too. Let’s just talk about that price for a second before I settle back into my chair and read a bit more: for less than $30.00 US, you can have a large format, coffee table-sized book on Duran Duran (It is paperback). Everything from what some might describe as “lickable” photos (I certainly wouldn’t say that..,coughs…but hey… I may have heard the term used before somewhere…) to in-depth discussions of the music and process. For the more abstract-minded amongst us, there are poems and lyrics and lists to read and ponder, as well as the aforementioned photos, both posed and from live shows (from the last year). I can’t really get over the value on this one – it’s the best bang for your buck I’ve seen in quite a while. Like nearly everyone reading, I own a lot of Duran Duran books. I’ll go one further and say I own a lot of books period, but particularly within the realm of fandom and music history of this particular band – I own a lot. This is a book that any fan of Duran Duran should have in their collection, and I’m thrilled (and shocked!) that they’re not charging the $50 or $60 that the book is really worth, even as a paperback. Run out and grab a copy while you can! 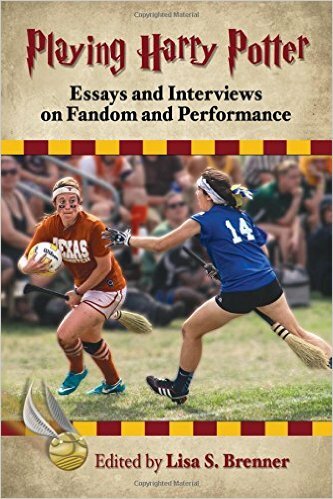 As I said, in coming weeks Amanda and I plan to do several blogs about the interviews and other writing within the book, but I don’t want to spoil it for anyone who is running off to order their own copy right now…so go get it! Bow to the Paper Gods: Their Final Encore? I agree this is more than worth the money. I was determined to bring back a souvenir from the show and decided it was going to be a ‘tour programme’ which is what it was being sold as at the arena. I was shocked when I saw the size of it. You are right in saying it is more like a coffee table book than a tour programme and if you walked into a bookshop and bought something like this, it would be at least £30 or more (in UK money). Well done DD for giving the fans value for money. Wow…this sounds a lot more comprehensive than the tour books from Astronaut and RCM (which I own). Kicking myself for not buying it when I saw it at the merchandise stand last year since I don’t want to pay the insane shipping cost from the online store. I’ll have to grab it in April. Looking forward to reading more of your review! It is a lot of fun to see what others think of this book! I love all of the books that DD have put out over the years, but this one is by far, one of their best, practically right up there with the “Duran Duran World” photo book, which is probably my favorite. And the price tag was definitely (pleasantly) shocking! I was also confused about that random list of words from each member, but after reading one of the interviews, I gathered that they were the results of a “free association” exercise each band member went through when asked what they think of the album title, “Paper Gods.” Funny how Nick’s list is so long and Roger’s is short- so like them, haha. I look forward to reading more about your thoughts on this book! I hate that I have to wait until the end of July to get this book. I do not want to pay shipping. I am planning to get this and some other things and it is just too expensive to do that. I do hate that. I wish they would have a distribution company here in the US as well as over in the UK. It would make it more affordable and take less time. But anyway, I just really want this book. I wish they had them last time they played in the US, but they took too long to get them out so the UK were the first gigs they sold them @.